Twitter trends are #hashtag-driven popular topics that in no time become the talk of the town. Trending topics are activities based on real-time hashtag use and have been used in conversation the most number of times. Being the best Twitter Marketing agency in town, we know what Twitter trending is up to. Our Twitter Trending Services combine careful planning and even more careful research to strike right and turn a hot topic into a buzzing trend. With a team of Twitter experts and a solid network of Twitter user network, we help you achieve hash tag trending on Twitter. Apart from targeted twitter hashtag trending, we also provide hashtag monitoring and hashtag sentiments. We help you achieve a mass hashtag trend for the duration of up to 11-15 hours in all major cities in India. Trending topics are those conversations that‘re popular right now, and not over a long period of time. We can see trending topics on our Twitter sidebar. These trending topics are tailored based on location and the people you follow. What’s really interesting to know is that Twitter Trending topics tend to appear from retweets, and not from a high volume of original Tweets. Why Twitter Trending is So Important? Twitter trending topics, when included in your social media posts, can help you gain exposure and boost your messages beyond your followers. When a popular hashtag is used in a post, the message manages to reach to masses discussing that topic and looking at the messages relevant to that subject. Twitter Trending: How We Strike The Right Nerve? If you’re looking forward to an end-to-end Twitter trending services, Brainpulse is your destination. Our fully managed Twitter trending campaigns help you enhance your Twitter presence and create a visible impact and by making your campaigns trend on Twitter. With twitter trending, your content reaches out to more eyes, that eventually brings more engagement, more reach, more traffic and more leads. We tactfully plan Twitter hashtag trending campaigns to get results within 24 hours. Our strategy is what you can call fully managed and measured. 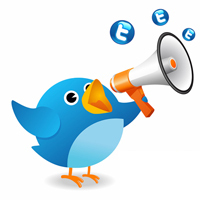 Not only we deliver the guaranteed results out of every Twitter trending campaign, but also share with you live reports. The reports comprise metrics like impressions, top influencers, top posts by engagement, top mentions, sentiment and follower count tracking. Want to have words with our Twitter marketing team? Just drop us a mail or give us a call 0120-6790400. We will get back to you.